The "MyIDE+Flash" has been supersceded by the new MyIDE-II CompactFlash Cartridge. Both the "MyIDE+Flash" and "MyIDE Internal Upgrade" kits are still available for purchase while supplies last. 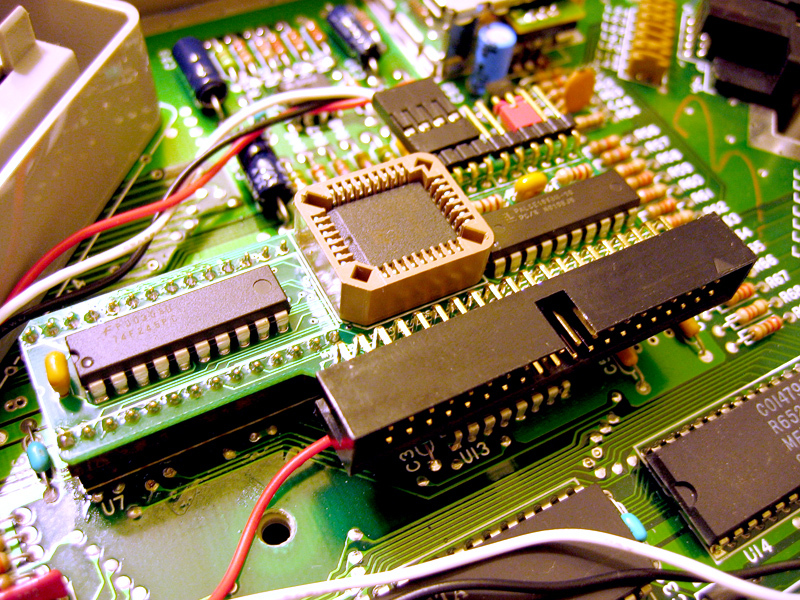 The "MyIDE" upgrades are professionally produced internal and external IDE interfaces for all Atari 8-bit XL/XE computers. 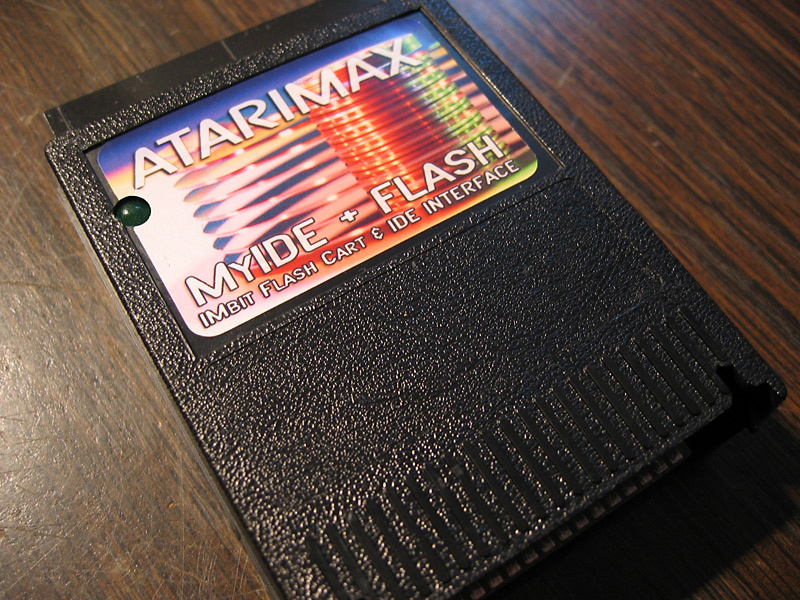 The new MyIDE+Flash Cartridge interface combines Sijmen "Mr. Atari" Schouten's popular "MyIDE" interface with an Atarimax 1Mbit reprogrammable flash cartridge. This interface is portable between computers and requires no internal installation. The cartridge versions built in 1Mbit flash system allows you to utilize the interface and your hard disk setup in any 64k XL/XE computer, using the built-in boot OS, without modifications to your Ataris existing hardware or operating system. For advanced users, a complete open-source development kit is available for customizing the boot flash and on screen menus, though its use is not required and all cartridges come 'ready to go' for casual users. For new users the cartridge version of the interface is recommended for its ease of use and zero installation requirement. 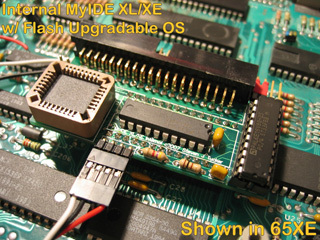 The MyIDE Internal interface combines the classic internal MyIDE PCB upgrade with a new flash programmable OS. This interface gives you all the benefits of the MyIDE OS in ROM, with easy in-system flash OS changes at any time. For more information on the classic MyIDE interface, please review the documentation below. Pin-20 Power Pre-Installed, just plug and go! Interfaces are IN-STOCK and shipping now! US orders will be shipped by USPS w/ Delivery Confirmation. International orders will be shipped by Air Mail unless special arrangements are made. The MyIDE+Flash Interface Forums are now open, click here to enter! All BIOS updates for the MyIDE Interfaces are provided in this forum. Please register to view and download files in the forum area. Technical support from Mr. Atari is also available in the community forum. Please note that forum registration is required to post and upload/download images. Please visit the support forums for the most recent software kits and downloads. All BIOS images and MyIDE software updates are now available in the community support forums. Please be sure to create an account on the forum so you will be able to see and download file attachments found there. 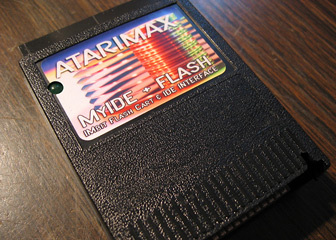 Hardware and software technical support for your MyIDE Interface is provided both by Atarimax and Mr. Atari. You are encouraged to use the Support and Discussion Forums as much as possible, as Mr. Atari and other MyIDE users can provide feedback that may help your situation. The answer to your questions may already be posted there. Sijmen "Mr. Atari" Schouten is most able to answer technical questions regarding the MyIDE portion of the interface. He can be reached directly at this web site. The address listed on his site is munged to help prevent spamming, so please remove the "REMOVETHIS" from e-mail address before sending. "MyIDE" and associated setup utilities and software are Copyright 2007 Sijmen Schouten, used under license.